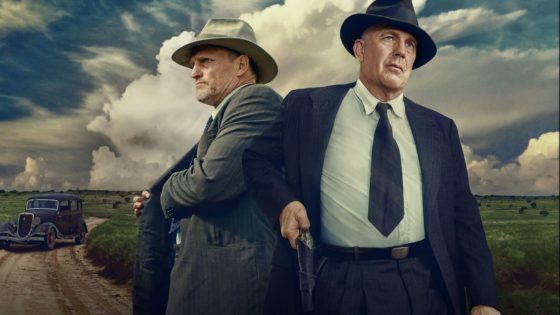 It took 52 years to set the record straight on the manhunter and executioner of the infamous gangster couple Bonnie and Clyde, Texas Ranger Frank Hamer. 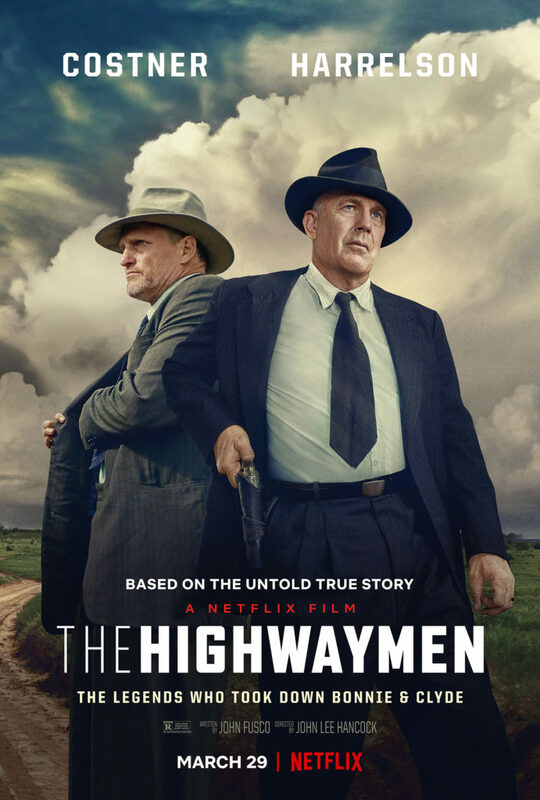 The new flick, “The Highwaymen” (Netflix), is a mostly correct historical look from the viewpoint of Hammer and his partner, fellow Texas Ranger Many Gault. Kevin Costner plays Hammer and Woody Harrelson takes on the Gault role. 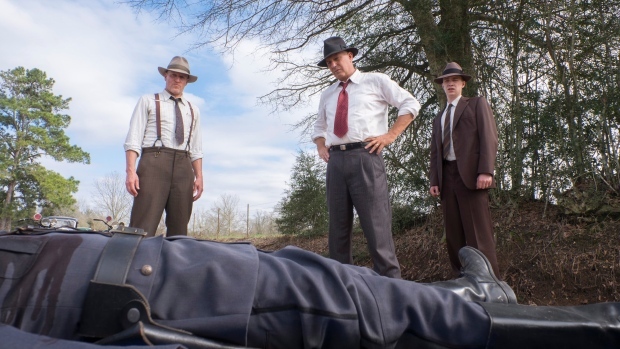 The film begins as Hamer is put on the hunt of “killing” Bonnie and Clyde by Texas governor “Ma” Ferguson (Kathy Bates). It ends with the messy killing of the pair on a Louisiana highway in 1934. They had roamed American country side in the middle 1930’s and were credited with the murder of thirteen people. They murdered mostly bank employees and police officers. The two had been romanticized in the 1967 film “Bonnie and Clyde” after being made legends of their criminality thirty or so years before by the American public as of robbing banks and giving to the poor. Fact of the matter the two were blood thirsty cold-hearted murderers. They were not good people, rotten to the core and this film points that out. Director John Lee Hancock has visualized a fresh look of the 1930’s. The movie looks great, not only with the wide vistas of the county roadsides, but the “poor down and out” Okies of the period. The movie was made even better with the 4K sharpness on Nexflx (sorry Tom Cruise but this one worked as of the soap opera look you hate). Screenwriter John Fusco did his homework and you get a strong sense of truthfulness with regard to the actual events of the story. Having read all there is on the pair of outlaws, it was known that Clyde Barrow was believed to have a sixth sense, one that would keep him out of roadblock traps. On various occasions it was documented that Barrow would be barreling down the highway in his fast Ford coupe, doing 90 to a hundred miles an hour on a dirt road, only to stop just before going over a hill where the authorities were waiting in mass. Barrow was such a master driver that a 400 mile overnight drive one night was typical, only to be repeated the next night. At his death in 1934 Clyde’s ESP failed him and he and fellow criminal girlfriend Bonnie were riddled with lead by Hammer and his men. With Costner and Harrelson you get a pair that convey the psyche of their two characters. Who were Hamer and Gault and what made them tick? As some will say, it is a fine line for a man that will take a life and what side of the good/evil spectrum he might be on. Hammer was in fact like some of the men he tracked. He too was a cold-blooded killer and the scene with him and Clyde’s father is one of the best in the film. The wonderful character actor William Sadler as father Hank Barrow is noted for a strong performance. Justification for having a “dark soul” is discussed. Barrow had a darkness while Hamer did not. Harrelson was able to show a humanistic side to the Gault character that Hamer seemed to lack. Gault for all accounts had issues with killing and the consequences of the act. As films like this continue to be made, some are just pure crap. This one is not and I recommend it if you are into the 1930’s character studies of these very colorful historical beings. Hamer’s legacy and Gault’s humanity have been righted in this movie, even if those that know their story understand that they was the greatest Texas Rangers in history. As for Bonnie and Clyde, as Hattie said in “True Grit”, they were trash.